But what is even more terrifying is this; I am not as bummed as I should be. Don’t get me wrong, I am not excited in the least. I’m a warm weather gal. Yet the bone chilling temperatures and unrelenting darkness is slightly lessened by my increased consumption of hot beverages and cookies. Cold weather makes drinking gallons of coffee socially acceptable. Nothing beats a mug of Brazilian roast pressed between your palms. Nothing. SO while I was on vacation a few weeks ago in North Carolina, where it’s supposed to be warm, I met a guy who pretty much slays the hot beverage biz and he consequently saved me from freezing to death at the Carolina Jubilee music festival. Sure, I could have dressed for the weather but where is the fun in that? After chatting with Greg from Anchor Coffee Co. and learning how to make a “pour over” cuppa joe, I was positively hooked. I’m not really a coffee aficionado like the guys at Anchor Coffee but I love coffee and I drink it on a Gilmore scale so I had to try their blend at home. Greg was nice enough to send me a couple of beans to grind and a bottle of cold brew if I was feeling adventurous and guess what? It rocked my coffee world. – Pick your grind: They will help you figure out how course of fine you need your beans, depending on how you brew your coffee. Greg asked me how I brew mine and my first thought was “uh, in a coffee maker…” so don’t feel bad if you had no idea there was a difference. -Robust and Flavorful, NO Bitterness: Unlike a bag of pre-ground coffee from the grocery store shelf, this product is FRESH. When I ground and brewed my first pot of the Guatemalan Huehuetenango I was shocked that I didn’t NEED creamer. I am the queen of cream and stevia but it wasn’t a necessity. -USDA Organic and Fair Trade: Enough said. You can find them online HERE or if you are lucky enough to live in their area you can grab a cup HERE! 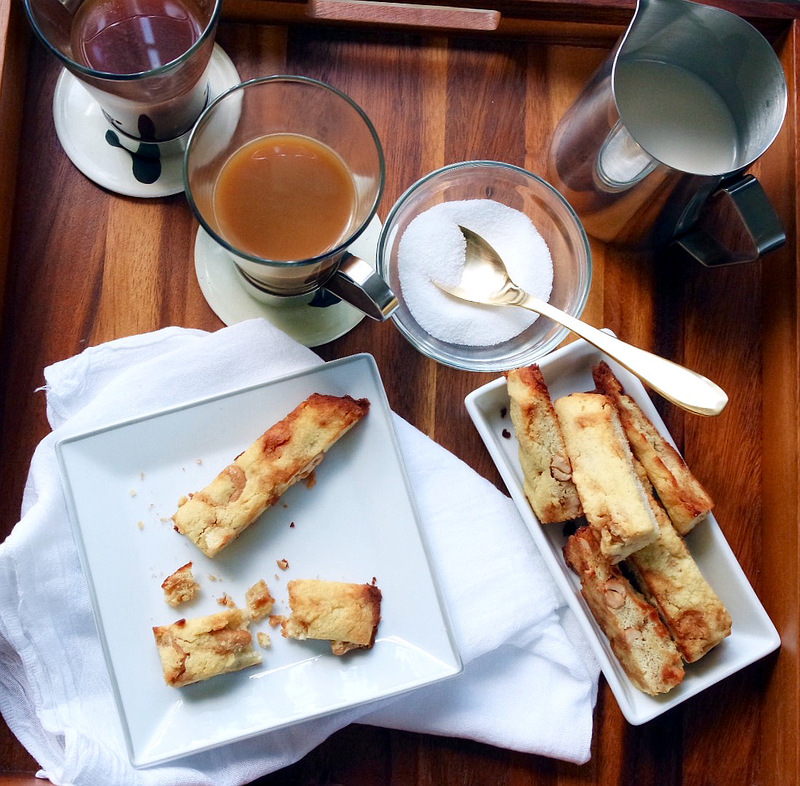 It’s time for another Biscotti recipe. No gluten, no grains, and low-carb. Big surprise, right? Trust me when I say your friends will not notice, or care. These babies are soft enough to eat alone but sturdy enough to have with your mid-morning coffee. AND they don’t call for protein powder like my Chocolate Biscotti which might be more appealing for some. RECIPE NOTES: You will not use all of the toffee swirl in this recipe. I’d say pour until you have about 3/4 of the mixture in the dough. The rest can be stored in the fridge and pulled out and eaten as caramel. I used Bob’s Red Mill Almond Meal and Coconut flour. The moisture may differ depending on the brand of gf flour you use! 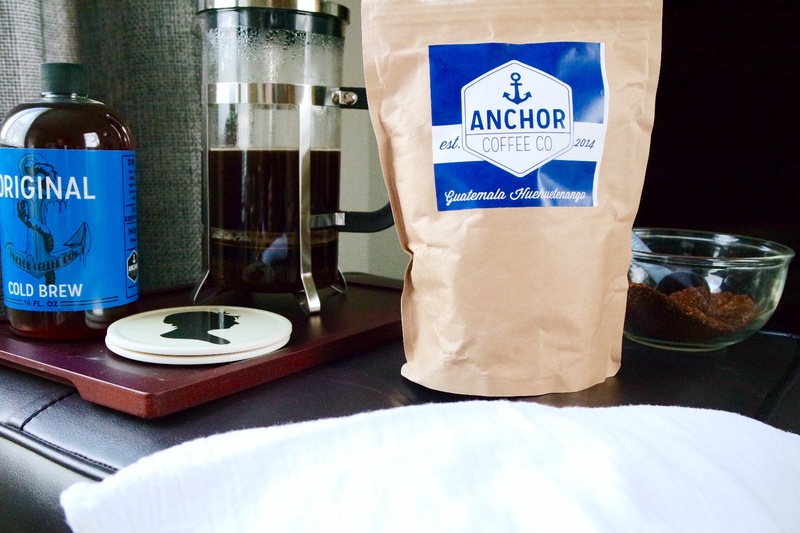 A special thanks to Greg and the crew from Anchor Coffee. They did not pay for this blog post but did supply me with the coffee you see above, which in no way swayed my love of this brew. Just an added bonus. This looks so good and that coffee is amazing! Toffee + Coffee = heaven. Also, your photos look AWESOME! Liz! Send me some of those biscotti please! They look amazing! Liz, these do look totally amazing and gorgeous! Thanks for sharing! Yum! We bake a lot of biscotti at the holidays! This looks perfect! I count 8 hours backwards from the time I need to get up and make CERTAIN I’m in bed by that time. Then it’s water from the moment I wake up throughout the day. I can’t even do Irish Coffees. The taste thing… I just can’t get past the taste of coffee..
I’m pretty much a coffee addict too and I love the Gilmore girls reference haha ☕️ this combo looks delicious!